Harbor Point Subaqueous Capping - J.H. Maxymillian, Inc. 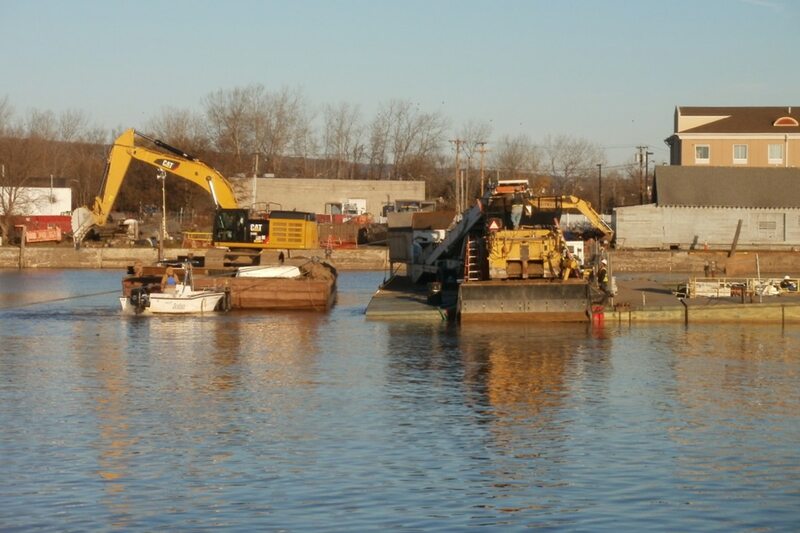 In winter conditions, Maxymillian completed a 14-acre remedial capping of contaminated sediments within a Utica, NY harbor. Maxymillian installed a 660,000 SF Reactive Core Mat (RCM) and 92,000 ton clean sand and gravel cap. 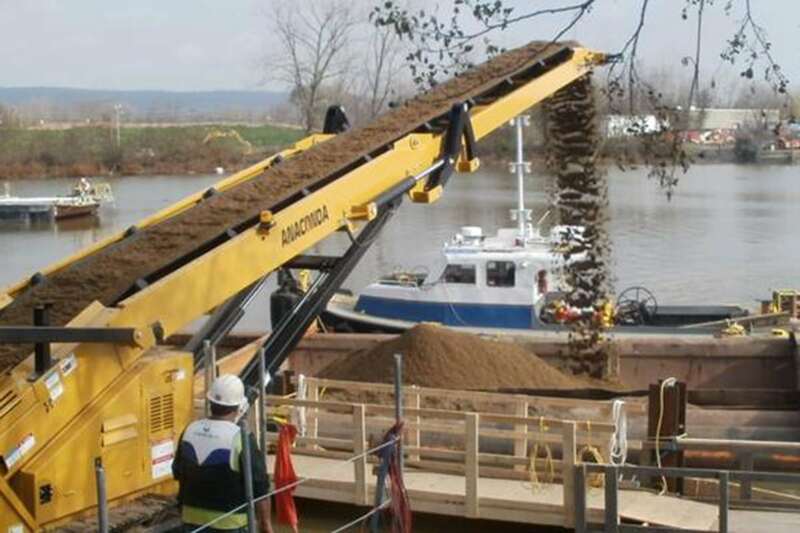 MT’s engineering team designed and fabricated the Cap Material Placement System (CMPS) which allowed for the controlled GPS monitored placement of sand and gravel. 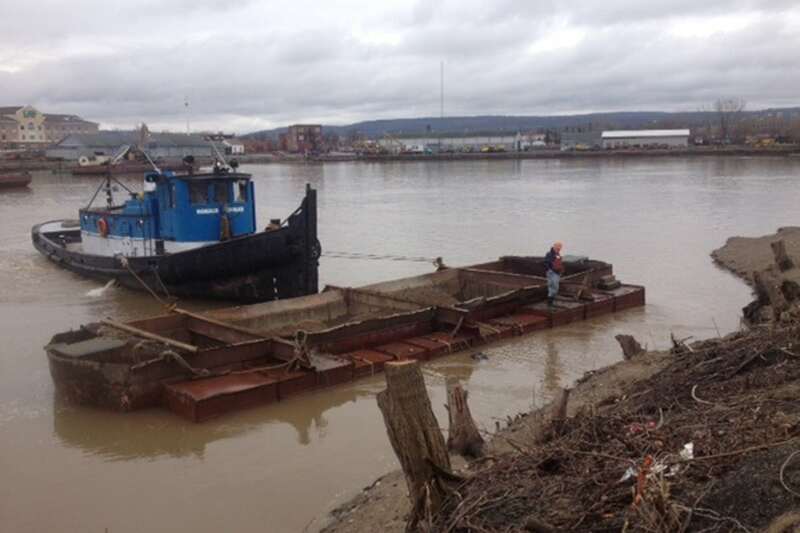 Maxymillian transferred materials via a transfer conveyor that extended from the shore to water to load material into custom built scows, and then shuttled to the Cap Material Placement Barge (CMPB) using a barge-mounted excavator.